Stair’s take a lot up of room, so the best place for loft conversion stairs are above the other stairs, you will normally also need a turn or two to save space, the minimum head height is 2m, but this a rule where the building inspector will be a bit flexible if you are sensible and talk to them about the problem as they know loft conversions are very tight. It will normally be satisfactory if the height measured at the center is 1.9m and reducing to no less than 1.8m at the side of the stair. Landings must be provided, the size should be at least the width of the stairs and the length should also be a minimum of the stairs width. No doors should swing into these areas, although it would be permissible on the lower landing if the door was still 400mm from the first step when the door is open. 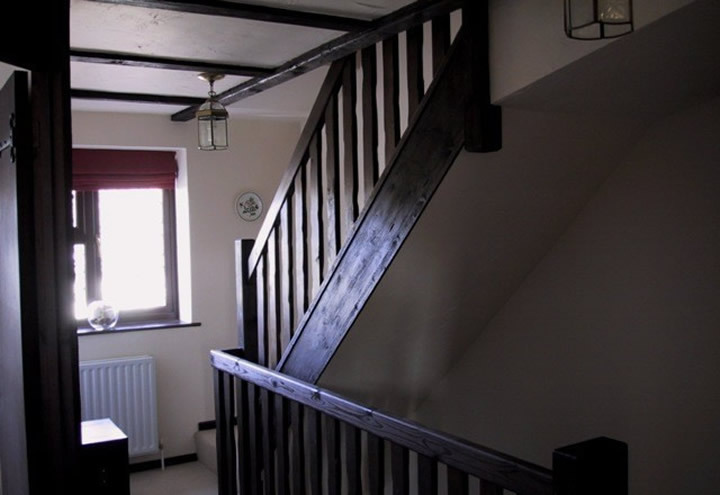 Note this is a raised landing, this helped with the lower turn in this loft conversion. 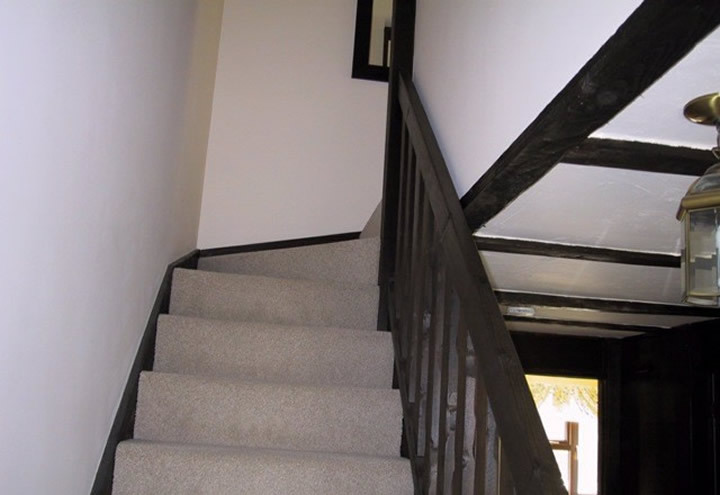 A hand rail must fitted 900mm-1000mm above the pitch line of the flight (nose of stair) and a guarding (banisters, balustrade etc) must also be fitted on all stairs with a drop of 600mm and the gaps between must not let a 100 sphere past through. 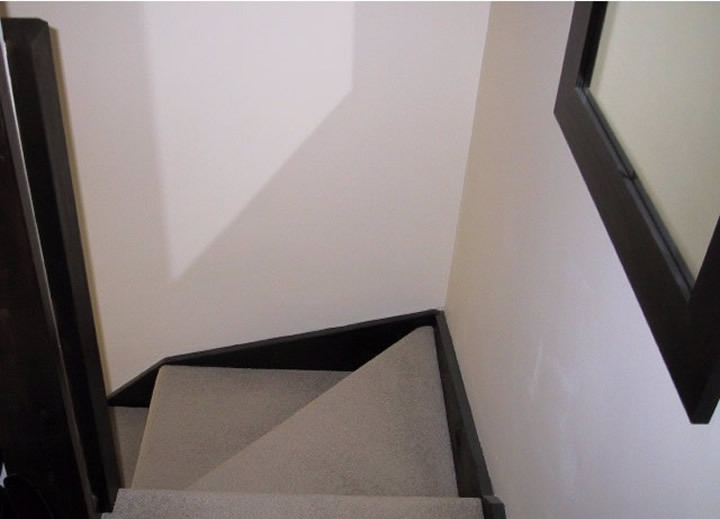 There are lots of different designs of stairs, if you are really short of space you can use an alternating tread stairs (see picture) but the use of these relies on user familiarity for safe usage.